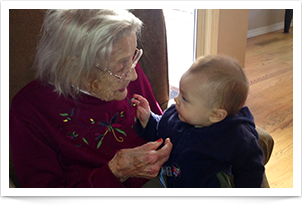 Exceptional, professional care for your loved one in a compassionate, home environment. The cost of Premier Care Homes is generally lower than nursing homes and assisted living facilities. It is based on several factors depending on the care needs and services required for the resident in order to provide good quality care. We do a complete assessment of each individual’s needs. This allows us to quote a fair and accurate monthly rate. You can call for our base rate. We accept private pay and some long-term care insurance. We are licensed and monitored by the State of Oregon. Services are provided by our Premier Care Homes adult foster home resident care team, which has been carefully selected and is committed to meet individual care needs in a dignified, respectful environment. Each resident care manager has completed and passed the “Ensure Quality Care” course through Northwest Senior Service. In addition, all caregivers require a clean criminal history. Each home has a RN who provides delegation/teaching for our staff. Personalized services to meet each individual’s care needs, including: dressing, bathing, feeding assistance, grooming, toileting and assist with mobility.